Atisha was an 11th century Buddhist master. He was renowned for his inspiring teachings helping people to solve their problems and find deep and lasting peace. Atisha gave a teaching that became known as Advice from Atisha’s Heart. This incredible text has been benefitting people for over a 1000 years. He realized that while people still have uncontrolled minds they will never find deep lasting happiness. Although Atisha lived and taught in the 10th century his teachings are timeless. It is one of the most profound teaching on training the mind ever given. It helped people to control their minds & find deep lasting happiness. Although this teaching was given over 1000 years ago it is still as effective now as it was then because people’s real problems haven’t changed. The external environment is dramatically different but our minds are the same, we experience anger, fear, discontentment and unhappiness. The only way to solve these problems is by controlling our mind. We can change our home or partner countless times but until we change our restless discontented mind we will never find deep lasting happiness. Odiyana Centre is running a 6 weeks course entitled Inspiring Solutions for Difficult Times . On this course based on Advice from Atisha’s Heart we revisit this ancient wisdom because it worked then & will work now if we apply it to our modern, busy lives. What exactly is it that we need to have a happy life? We need a happy mind. So many problems are created by our mind. We don’t realize the role our mind plays in projecting itself onto external situations. If our mind is negative or unhappy it will project an unpleasant world, if it is happy it will project a pleasant world. Our desires are changing all the time and this adds to our unhappiness and discontentment. We may become unhappy because we are lonely so we surround ourselves with people resulting in us not being able to find the time to be alone, this then makes us stressed and unhappy. We may be unhappy because we can’t find work but once we get a job we feel stressed as we have too much work. We may feel depressed as our dreams aren’t fulfilled or once fulfilled they leave us feeling hollow & empty. We may lack success or become overwhelmed because when we have success it brings more stress than we can bear. If we want to be happy in all these situations we need to learn to control our mind so it is happy & peaceful whether we are with people or alone, whether we are busy or sitting quietly. Through controlling our mind we can control what we project onto the world and we can start to create the sort of world we want live in. Odiyana Centre is running a 7 week course entitled Meditations for a Happy Life. We have classes all across Cheshire. For details of nights and venues please click on Meditation Classes, Evening Classes and then select the location you are interested in. We are like servants of our mind. Whenever it wants to do something we have to do it without choice. We are completely under the control of our mind. Anger is one of our most common and destructive states of mind. It afflicts our mind almost every day. To solve the problem of anger we first need to recognise the anger within our own mind, acknowledge how it harms both ourself and others, and appreciate the benefits of being patient in the face of difficulties. We then need to apply practical methods in our daily life to reduce our anger and finally to prevent it from arising at all. Odiyana Buddhist Centre is running a seven-week course explaining how to recognise, reduce and finally eliminate anger from our mind and how to develop and maintain a patient and peaceful mind. Only then will we have real freedom. When we think about happiness it seems quite a simple subject. It seems very attainable, yet very few people are truly happy. This isn’t through lack of trying, every day millions of people work very hard and spend large sums of money yet they don’t become any happier. Also it isn’t due to not wishing to be happy, we all want to be happy, we all want happiness more than anything. We find it hard to tolerate even the slightest discomfort. It is because we are looking for it in the wrong places. Happiness is a state of mind. We cannot make ourselves happy by accumulating possessions, watching TV or continuously making changes in our life. People have tried this approach year after year, generation after generation and it has never worked. There are more and more depressed people about than ever. Stress and anxiety are reaching epidemic proportions. Buddha said that we should check whether our actions lead to the results we expect. If we did this we would be forced to conclude that they don’t. We engage in actions that we expect to lead to happiness and when they don’t we just do them again and again and again and are surprised when they don’t make us happy. For example, we expect that buying a new car will make us happy. We buy one and feel excited for a few days then we are back in the same position as we were before – needy and discontented, so then we look for something else to buy and the cycle continues. If we are logical we must realize that we need a different approach in our search for happiness. Pieces of plastic and metal cannot make us happiness. Our happiness needs to come from within our minds. We can’t rely on external objects for our happiness, we need to learn to cultivate happy states of mind for ourself. Odiyana Buddhist Centre is running a 9 week course based on the widely renowned ‘8 Verses of Training the Mind’ which was composed in the 11th century. This book shows us where to find real happiness. If we apply these instructions diligently we will definitely become happier. These instructions worked in 11th century Tibet and are just as relevant to modern day England. Our external world may have changed a lot but our basic problems haven’t changed very much. Usually we find it difficult to control our mind. If things go well our mind is happy, but if they go badly it immediately becomes unhappy. If we get what we want we become excited. On the other hand, if we do not get what we want, or if we lose something that we like, we become despondent or irritated. Such fluctuations of mood arise because we are too closely involved in the external situation. We are like a child making a sandcastle who is excited when it is first made, but becomes upset when it is destroyed by the incoming tide. By training in meditation we create an inner space that enables us to control our mind regardless of the external circumstances. We develop mental equilibrium, a balanced mind that is happy all the time, rather than an unbalanced mind that oscillates between the extremes of excitement and despondency. If our mind is peaceful we shall be free from worries and mental discomfort but if our mind is not peaceful we shall find it difficult to be happy even if we are surrounded by the very best conditions. We are delighted to announce we now have a new venue in Chester at Upton Pavillion, Chester. Odiyana KMC will be holding summer meditation classes in July and August. These will be open to everyone. No need to book you can just turn up. The classes will be on Tuesday 17th and 24th July and 14th and 21st August 2018 and cost £6 per person. We are delighted to be hosting our annual Open Day for everyone to come and see what we are about. We will be offering free taster meditation classes, children’s classes, a BBQ and a cafe with refreshments and lots of cake!!! It is free to attend the day and everyone is welcome. Arya Tara is a female Buddha who is a manifestation of the wind element of all the Buddhas. Since the wind element is the nature of movement Arya Tara is very swift in helping and protecting us. “Tara” means rescuer; If we rely on Tara with strong faith she will care for us throughout this life and all our future lives. This empowerment is an opportunity to make a strong connection with Arya Tara and receive her powerful blessings. The Empowerment starts at 9.45am and runs until about 5pm. The cost is £25 per person which includes lunch and refreshments throughout the day. Self-confidence and self-esteem are rare qualities and very few people possess these. As a result we experience many problems and miss many opportunities. Usually not because we lack good qualities but because we lack self-confidence. On this day course we will learn how to develop true and deep self-confidence. 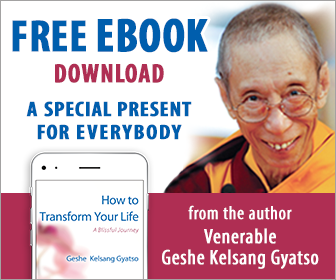 The teacher of this course will be Gen Kelsang Lekma – Gen Kelsang Lekma is a close disciple of the Founder of our tradition Venerable Geshe Kelsang Gyatso. She is a senior Buddhist nun with more than 25 years of experience and she has taught in England and the United States for much of this time.She is a very popular and experienced teacher and her clear and entertaining talks express the path of wisdom and meditation in a way that is ideally suited for people of the modern world. She is greatly cherished by her students for her warm, light and wise example.